SiComunicaWeb an agency based in Milan that specializes in SEO strategies for the optimization of websites on the major search engines; it also builds websites in a professional, creative, and efficient way, ensuring the visibility and high ranking on the top pages of Google. Google is notoriously the most popular tool to browse the web on a daily basis. A team of experts will provide you with abundant technical support, and assist you in timely manner with professionalism. Back in the day when the Internet was born, the optimization process was simple and competition was rare; to index a page it was sufficient to enter some keywords through the use of Meta tags, and repeat them in the page. There were also very few companies that specialized in SEO practices. Today, this area (SEO – Search Engine Optimization) is highly competitive. There are thousands of companies that offer SEO services out there. There is also an ever growing number of websites, and very few of them have a decent index. This makes things difficult for those who offer SEO/SEM services (Search Engine Marketing) and it leads a good number of companies to use illegal or unethical techniques in order to get to the first page on Google. The only solution to these situations is to avoid dangerous methods and rely on a strict code of ethics that protects our clients from techniques that jeopardize their investments. This is how we differentiate ourselves from the number of so-called companies that offer “miraculous” web marketing services. As you know, we live in the era in which the phenomenon of globalization has been consolidated within the society, influencing many important aspects even on purely economic terms. If a company wants to be competitive in an increasingly competitive market, it must adopt forefront tools that are able to place it at the top of the web searches. For this reason, they must invest in order to achieve the positioning services on search engines that are responsive to their needs, and use web marketing tools through a SEO agency. Thanks to the indexing, websites can appear in the front pages of the major search engines (Google, Bing, Yahoo). This happens when certain sites rely on specific issues that are closely related to the keywords entered by the user. The successful positioning of a website is a very complex job, and if you want to have the guarantee of the outcome, you have to hire specialists that operate within SEO Agencies. It is very difficult to define, describe or even accurately characterize ethical SEO techniques, since what is authorized and accepted by search engines themselves is subject to constant review and improvement. However, some practices are clearly spam, or are meant to trick the search engines. Most Search Engine Optimization (SEO) practitioners understand these ethics, yet not all practitioners practice safe-SEO. Too many SEO practitioners claim a bias towards surfers, or the search engines, or their clients (all are appropriate in the correct balance), and it is common for the “whatever it takes” excuse to bend some of these ethics to fit their needs. We created this code to encourage SEO operators to achieve better results. 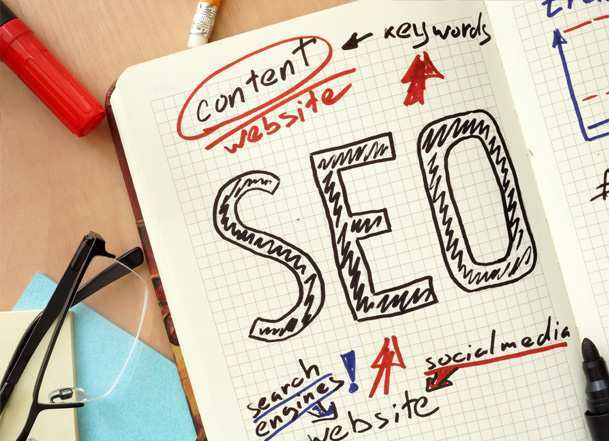 We work to provide relevant information and high quality results in the immediate understanding format to anyone looking for certain information, and our SEO practitioners are required by contract to assist the customers in getting the best possible performance visibility. No SEO practitioner will intentionally utilize practices that serve one set of content to the search engines, and a visually different set of content to other visitors. Ideally, the web server should serve ALL requests sent to a specific URL. Cloaking is not inherently evil, but using it to deceive a search engine is not acceptable. ALL text within the BODY section of an HTML page should be visible, uncovered and easily readable by all visitors to the page. Since the search engines determine the relevancy of a page for a keyword based in part on “visible content”, the search engine user deserves to see the same “visible” content when they click through to that page. Anything less than a substantial match between the content that the search engine spider sees and the content that the user sees is deception. The use of any technology with the intent to hide content or the importance of certain content from the user in any way is unacceptable. This includes using on-page techniques, bait-and-switch techniques, server controls and any other techniques developed to deceive either the search engines or search engine users. Simply put, certainly there are a great many ways to “hide” content, and all of them are deception and are unacceptable. No SEO practitioner will intentionally use redirection in such a manner that search engines see one set of content, and non-search engine visitors are forwarded to and view a different set of content. Ideally, ALL requests sent to a specific URL should land on and remain on that URL. It is not acceptable to rapidly switch users to a page containing content other than the indexed content, commonly using redirects or event-driven processes. No SEO practitioner will intentionally produce multiple pages with identical or nearly identical content for the purpose of influencing the search engines. Ideally, all site pages should be unique and contain content of value to a researcher seeking information. Obviously several sites can reprint articles, process news feeds, and sell the same products, but expert information is only expert if it is unique. It is not enriching to the user experience for have all of the top results to contain rehashed versions of the same content. No SEO practitioner will utilize software to automatically generate pages of no or limited value. Automatically generated pages commonly have “gibberish” and usually make no grammatical or logical sense; hence they harm the user experience. It is generally understood that the generation of hundreds or thousands of indexable pages in an attempt to have them ranked is unacceptable. However, database driven pages are also automatically created, as are the search engine results themselves, so not all automatic pages are evil. No SEO practitioner will intentionally participate in a Link Farm. No site can control who links to them. However your site does not need to participate in a program where unrelated sites will link to each other for the purpose of artificially inflating rankings. If the link is valid, then that is fine. If it is to deceive the search engines then it is not acceptable. All SEO practitioners will work to their best ability to maintain the integrity of the search experience. We must all consider the effects of our optimization efforts on both the client’s rankings and the quality of the search engine results overall. If any optimization technique detracts from a search engine user’s experience, it is not worth using. After all, the goal of search engine optimization is not to simply achieve rankings, but it is to make expert information more accessible to users through search engine queries. Do not make pigs fly. All SEO practitioners will work to their best ability to maintain the integrity of the SEO industry. All SEO practitioners must be committed to upholding ethical and professional conduct in practicing search engine optimization. This steadfast commitment will improve the SEO practitioner’s reputation as an honest, hard-working SEO professional. Plus, it will help the practitioner maintain honest, healthy relationships with their clients, the search engines, and other SEO professionals. This in turn will help improve the reputation of the SEO industry as a whole. We recognize that “guns don’t kill — people do” and that some technologies and practices can be legitimate. We have no issues in these cases. But if it is clearly deceptive as implemented then it is a violation of this Code of Conduct. Our advice is to choose wisely and only play in the middle of the sandbox. SiComunica web adheres to such code of ethics and promotes an Internet with better and improved functions.